Mr Bru Cru: Venomenom 4 and Prelude Pack Kobe V's. Venomenom 4 and Prelude Pack Kobe V's. Even though Nike is setting up to release the rest of Kobe's "Prelude Pack", they are also throwing in some gems. 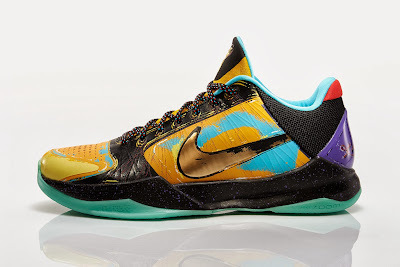 The Kobe "Venomenon IV" is set to release in it's second color way. 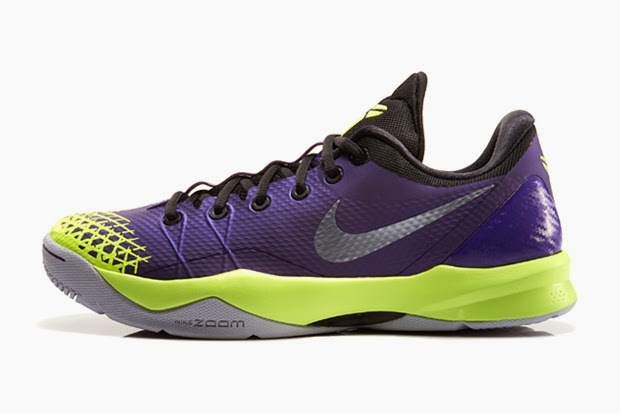 With a mostly purple upper, the sneaker also features a black laced area along with the lime/volt green bottom. These will hit retailers January 4th. Also, Continuing with their promise to release a pair of sneaker every weekend until the release of the new Kobe 9's, Nike is now up to the Zoom Kobe V. As part of the "Prelude Pack", every sneaker means something different for Kobe Bryant and his career. In 2009 The Los Angeles Lakers won the NBA Championship and anyone who knows Kobe Bryant knows that's what he plays for.